If you live in Kings Mountain, NC and you have been searching for “mobile dent repair near me” you have come to the right place with Piedmont Dent Repair. We have learned that not every type of dent repair takes several days of garage work to accomplish. Our technicians have real experience with paintless dent removal and we can make sure that your vehicle is back in your hands in just a few hours. As long as the area surrounding the dent does not contain any major scratches within the paint you can consider this method for dent removal. Other forms or techniques may require a bit more time and expense, but this method can be one of the easiest for the removal process. 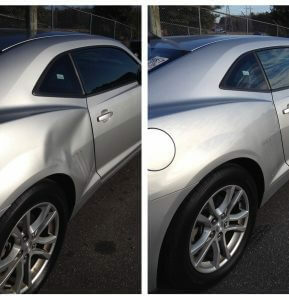 Paintless dent removal in Kings Mountain, NC is one of the best methods for dent repair in the area. We can even perform mobile dent repair on most vehicles using this method. Through a staff that is highly trained in the process, we can come out to your location and make an assessment, and then repair the damage on site. 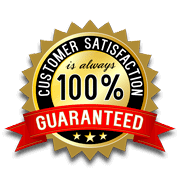 Our mobile dent repair experts in Kings Mountain, North Carolina work under a 100% satisfaction guarantee. If we are unable to repair your dent to your complete satisfaction, we will pay for the cost of our services or re-repair the dent for you at no extra cost. Whether your vehicle is coming into us after being involved in a minor accident or you require dent repair for hail dent removal, we provide fair and affordable prices for your body work. By keeping your vehicle looking its best you will avoid expensive insurance premiums, its loss in value and more. We want to deliver highly efficient services for your needs and make sure that your vehicle looks its absolute best. Our staff will provide fast and free estimates for dent repair at your convenience. We’re Mobile – Our Crew Comes to You! Contact Piedmont Dent Repair today to find out more about our mobile services. We can get your hail dent removal done quickly!